(MEY) Conspiracy theories are popular in this region [Middle East] for a good reason: they allow us to perceive ourselves as powerless victims and blame our shortcomings and insecurities on others. For decades, Baha’is have been painted as the enemy within, plotting and conspiring to harm their nations and act against its interests. 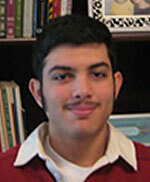 In order to confront these allegations, 18 year old Adib Masumian wrote a book titled, “Debunking the Myths” in which he analyzes and refutes the accusations made against the Baha’i Faith. Adib kindly consented to an interview with the Mideast Youth Network on the claims made against Baha’is, and how he addresses them in his book. What sparked you into writing “Debunking the Myths”? I had been noticing an increasing number of Muslims on the Internet stating that the Bahá’í Faith was a creation of the Russians and, more than anything else, that we were Zionists. This was about a year ago and I hadn’t done research on this subject, but I still knew that these claims were totally false. I wanted to refute those errors with evidence because the idea that we were a secretly Israeli or Russian movement came across as absolutely ridiculous to me. So the first thing I did was look for a paper on the subject by a Bahá’í scholar. I ended up finding a 6-page essay by Dr. Moojan Momen, a great scholar and historian, through a friend. It’s entitled Conspiracies and Forgeries: the attack upon the Baha’i community in Iran and it originally appeared in a journal known as Persian Heritage. It was very concise and did a great job analyzing the inconsistencies of the claims, but I really wanted something bigger than 6 pages so that I could educate myself further and then share whatever I glean from my studies with others. But to my surprise, I couldn’t find anything bigger than Dr. Momen’s paper. That’s what inspired me to use elements of his paper as well as conduct some research on my own and create a Wikipedia article that eventually became my book, Debunking the Myths. I wanted there to be a work that assessed the historical nature of the most prevalent claims leveled against the Baha’is, and that’s basically why I wrote it. When it comes to discourse against the Baha’i Faith within Muslim circles, much of the criticism is not directed towards its core tenets, but rather to its supposed ties to foreign powers. How effective has that argument been in causing fear and mistrust of Baha’is? Well, not as effective as one would think given the degree of emphasis the Iranian government places on our alleged historical ties. A significant majority might have believed these supposed ties prior to the Iranian Revolution in 1979, but the advent of the Islamic republic led to over a couple million people fleeing Iran to this day. Those expatriates have generally discovered the truth for themselves since they no longer had the falsehoods of the influential mullahs on their backs. I am also sure that many people currently living in Iran don’t believe these theories either as a lot of Iranians have grown tired of and even angry with their government over the years and this has led to widespread mistrust between the government and the people they govern. But of course, there are always the uneducated ones who continue to believe the words of the mullahs, and they are generally poor and don’t have the means to receive news through any other source but the clerics. In the West, however, I’m positive that this nonsense has more or less lost its value, but it is still held valid by some Iranians. I think that’s why Bahá’ís and non-Bahá’ís alike should know the full background behind their charges. The accusations that Baha’is engage in espionage activities did not spring out of a vacuum. What factors led to their coming into being and being so widely believed? Well we are a post-Islamic religion that was conceived in an Islamic society, so I would think that these accusations were one way to dehumanize us and eliminate a perceived “threat” to national security and stability. Just stating that we were infidels might not have been sufficient; influential clerics in Iran would need some more substance to their claims. As a result, I think this drove them to pursue something more tangible than theology, and that’s history. By fabricating their own history and using it against us in this light, the mullahs created claims that could appeal to those who weren’t even attached to a conservative Islamic ideology. So now that this method had been devised, they began preaching these lies from their pulpits and newspapers to the masses all across Iran. One notable incident involves a cleric by the name of Falsafi. During Ramadan of 1955, Falsafi held “radio sermons” which were filled with slander against the Bahá’ís. Allegations of involvement with foreign powers also became a part of his sermons. I think these sermons became hammered into peoples’ heads and they were passed on for a couple of generations; but as I said earlier, I think this tactic is thankfully beginning to fade away due to an increase in independent investigation of truth. I’m hopeful that my book will also contribute to that process. Baha’is are mainly accused of serving the interests of three groups: the Russians, the British and the Zionists. Let’s start with Russians. The accusations are built on a book titled “Memoirs of Prince Dolgorukov”. Tell us more about this book. The Memoirs of Prince Dolgorukov are supposed to be the recollections of a certain Prince Dolgorukov, who served as the Russian ambassador to Persia from 1846 to 1854. But from the very beginning, it is painfully obvious that this was a poorly-crafted forgery done by mullahs. It is filled to the brim with historical inaccuracies. For example, it states that Dolgorukov first came to Persia in 1834 as a translator for the Russian embassy. Dr. Moojan Momen has proven that Dolgorukov did not arrive at Persia until 1846, and he did this by perusing the actual Russian archives and reading up on almanacs about him. Elsewhere, the memoirs state that Dolgorukov intimately knew the Báb – founder of the Bábi Faith, precursor to the Bahá’í Faith – and that Dolgorukov would write his texts for him and have the Báb sign them to make them look authentic. But this is impossible because even as late as 1847, three years after the Báb’s proclamation of prophethood, Dolgorukov had no idea what the Bábis were all about. He actually compared their mission to those of early European communists! It also has other grave errors as well, like stating that certain people were doing certain things when the people in question were either young children or dead. The most eminent Iranian historians, such as Abbas Iqbal Ashtiani, have denounced the memoirs as an absolute forgery. Even one historian who was publicly opposed to the Faith, Ahmad Kasravi, admitted this. If this book has been proven to be a work of forgery, why is it still touted as authentic? Actually, I don’t hear very many people these days refer to the Dolgorukov memoirs unless they want to compare it to the Protocols of the Elders of Zion in terms of historical accuracy. I’m not even sure if very many people living in Iran still take their contents seriously because they’re just so absurd. Like I said, credible historians have denounced the memoirs over the decades as totallhoy fake and that has substantially helped dissipate many rumors related to it. Of the three accusations you enumerated earlier – Russians, British, and Zionists – you will probably hear “Russians” the least of the three. The memoirs might have been hot almost 70 years ago when they were first forged, but as of now they’re really nothing more than a laughingstock. But nonetheless, I do analyze many of the claims put forth by the memoirs in my book individually and assess their veracity using Dr. Momen’s extensive research, and that should pretty much clear up anything in the air on the subject. Another popular conspiracy theory is that the earliest disciples of the faith were British spies. On what grounds are these claims based? The claims specifically about the earliest disciples being tied to the British are bogus. They’re not historically accurate in the least. That rumor largely comes from an alleged meeting between a follower of the Báb and a certain British general named Arthur Conolly. The objective of this meeting was apparently to forge a conspiracy to undermine Shi’a Islam. The evidence for all of this is supposed to be located in one of Conolly’s books, according to a Persian historian. However, someone discovered that no such event is to be found in that book as well as the fact that this meeting never actually took place. As a result, that rumor quickly lost credibility in academic circles. But since we’re on the subject of Britain, it should be noted that people usually refer to the knighthood of ‘Abdu’l-Bahá, second leader of the Bahá’í Faith, as “evidence” that we have political ties to the British. This knighthood took place in 1920 and was actually bestowed upon ‘Abdu’l-Bahá because he helped alleviate a famine around the then Palestinian cities of Haifa and Akká during World War I. He did this by teaching people in the area how to cultivate grain, and they would then distribute it across the region. However, your average Iranian who has been told of the knighthood story doesn’t know about this history, and that’s why the allegations of British ties are still rampant in their thinking when it comes to the Bahá’í Faith. Of course, Russia and Britain are no longer the great big nemeses; that position is now held by Zionists. What evidence do they rely on in making such accusations? You’re very right about that, and the answer can be summed up in three words: location, location, location. I think the thought process here goes something like this: “The Bahá’í holy sites are in Israel, therefore they must be Zionists.” Well our holy sites are indeed in today’s Israel, but we are by no means Zionists. The truth of the matter is that the founder of the Bahá’í Faith, Baha’u’llah, was exiled to successive regions of the Middle East by the Persian Shah and the Sultan of the Ottoman Empire until he finally arrived at the Palestinian city of Akká, where he died in 1892. His passing at that location, as well as the fact that Baha’u’llah pitched a tent on Mount Carmel and even revealed a tablet to his followers there, explains why we chose today’s Israel as our religion’s center. But what the uneducated Iranians don’t realize is that having our shrines there doesn’t necessarily make us Zionists, because that would in fact make Muslims Zionists as well since holy sites such as the Dome of the Rock are located there! In reality, when Baha’u’llah died in Akká in 1892, there was no Israel. That land was Palestine, and it remained as such until Israel was partitioned in 1947. Since there was no Israel when significant Bahá’í events took place in that area, that automatically renders all Israel-related issues, including Zionism, irrelevant. Attacks against Baha’is are not limited to their supposed ties to foreign powers, but it’s also alleged that they held close ties with the regime of the former Shah, and that they actively collaborated with the Shah’s notorious secret police. How would you respond to such accusations? People are beginning to allege that members of the Shah’s cabinet more and more nowadays, and because of that I’m really glad you raised this question. There are a few Iranian politicians that have always been rumored to be Bahá’ís who never actually declared themselves as such. One example is the late Prime Minister, Amir Abbas Hoveida. Hoveida’s grandfather was an early Bahá’í in the time of Baha’u’llah. Hoveida’s father was also a Bahá’í up until the early 1920s when he became detached from the Faith and instead became increasingly interested in politics. From that point onward he had nothing to do with the Bahá’í Faith, and since his son was an infant at the time, he never received any Bahá’í education. Hoveida’s brother even stated that he had not heard of the word “Bahá’í” until he was 14, and even then he learned of its meaning from a friend. In reality, Hoveida was actually a Freemason, never a Bahá’í. There are a few other individuals who worked in the Shah’s cabinet that were always rumored Bahá’ís during their terms, but almost all of them actually came from Bahá’í families and never declared themselves as Bahá’ís. Bahá’ís are not even allowed to accept political positions, and this makes these accusations look even more ridiculous. There are also a few who say that Bahá’ís worked in the Shah’s secret police, known as SAVAK, but SAVAK was actually influenced by multiple anti-Bahá’í groups, one of them being the infamous Hojattiyeh. For this reason, SAVAK also targeted many Bahá’í individuals. When one reflects on that, the notion of Bahá’ís persecuting other Bahá’ís – an already harassed minority – becomes absolutely absurd. What steps can be taken to counter these claims? People can counter the claims by educating themselves about their historical nature and sharing this new knowledge with others. Everything has a history to it. I’ve given most of the answers to these common discrepancies here in this interview, but I go in further detail and extensively reference all of my research in Debunking the Myths. This is obviously a biased opinion, but I really think it’s a $10 well-spent. If Bahá’ís and non-Bahá’ís can properly arm themselves against these charges, then I strongly feel that they will be dissipated in due time. Who knows? Maybe Iranians will read the book and share it with their relatives in Iran. They could then spread it among themselves and the Iranians masses could became aware of the reality of these claims soon enough. You can purchase “Debunking the Myths” online and for only $9.95! You can not find any Iranian that would believe a single word from these Mollahs. After 30 years of living in the Mollah hell, every Iranian knows who is telling the truth. There was a time when illiterate Iranians believed in Mollahs, but now Mollahs can’t even convince them. So what Mollahs have done is hire people and pay them to carry out these attacks against you Bahais and other religeous minorities. It is so bad for Mollahs that even Mollahs themselves don’t believe in themselves. Every Iranian knows that the real “spies” in Iran are the Mollahs. They have made in England stamped on the top of their head as well as the bottom of their feet. Everything about Mollahs is foreign to Iranians. Even their so called defense of Sunni Palestinians. The avowed enemies of Shiia. that want to destroy Sunnis in Saudi Arabia and drag Iran into a blood bath with Arab Sunnis. The list goes on and on. Even the insane Iranians can tell you that all these crimes against humanity and Iranian people and culture has and is being carried out only and only by the perverted, sick and degenerate mullahs and no one else. Not even dreaded SAVAK hanged people from construction cranes or chopped off legs and feet or stoned people to death. Only mullahs. These truths should leave no dubt in any sane or insane person as to who the real criminals are and have been in Iran. It must be devastating for the “ulamas” or learned of the Shia to see how a 18 year old “Adib” or civilised one, demontaged all their lies and slanders , produced within a century, in a booklet appealing to reason. Before the revolution, some people in Iran used to think of Mollahs as if they were anti devil and assistants to the hidden imam. During the past 30 years however, Mollahs have proven through their actions to all Iranians and all the peoples of the world, the undeniable truth, that they ARE assistants to the devil himself and are here on earth only to do the devils work. Just look at their record. Such brutality had never existed in the history of Iran or may be even the history of the world. The devil is after the atomic bomb, and yet there are those who still believe that maintaining trade and diplomatic relations with the devil makes good policy. Dear Adib, thank you for dubunking mullahs’ myths. It is a great treasure and proves how these mullahs have used these myths to persecute and kill innocent people in order to retain their power over Iranians. Thank God that with today’s technology, people have access to great works like yours in a matter of seconds. This is what the mullahs feared the most. Access to information and access to Truth. As they can no longer control peoples’ minds and what they see, read and hear. All the best to you. Keep up the good work and keep your light shining right in their eyes. There is a biblical quote that the truth sets people free. Thank you for writing this book, Adib, because someone will read your book and maybe have a change in heart. And this person may be a person who influences other people to reassess their own ignorance. Having grown-up with the openness of the America West, I have always been baffled by the tendency of those who persist in conveying conspiracy theories about the Baha’i Faith. I think we can safely celebrate the appearance this goodly fruit; a new, worthy Baha’i scholar! Good work, Adib, I can’t wait to receive the new book! First of all well done and keep up the good work. If I was to wear my critics hat for a moment, I would say this work would have been a lot better 30 years ago. There are very very few people in Iran who would need this level of detail on this subject. Basically almost everyone has come to the underestanding that if Mullah says something is bad, then it must be good and vise versa. The handfull who don’t are beyond help, only God can help them.